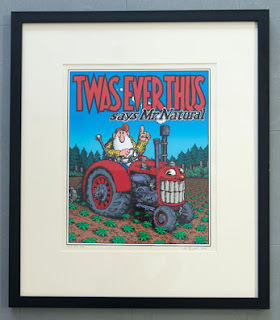 Check out the latest "Crumb on Others" interview (part five) between Robert and Wildwood Serigraphs publisher Alex Wood. Crumb gives his opinions on the famous and infamous, including Jack Kerouac, Johnny Carson, Bill Griffith, Hugh Hefner and Linda Lovelace. 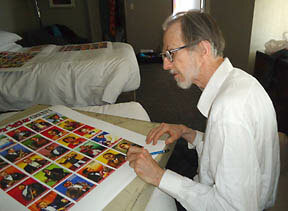 Also, we have posted a collection of Robert's Custom Signatures on prints made by Wildwood over the last twelve years. And see our Special Offers page for "Twas Ever Thus" a one-time offer on this rare, out-of-print serigraph.